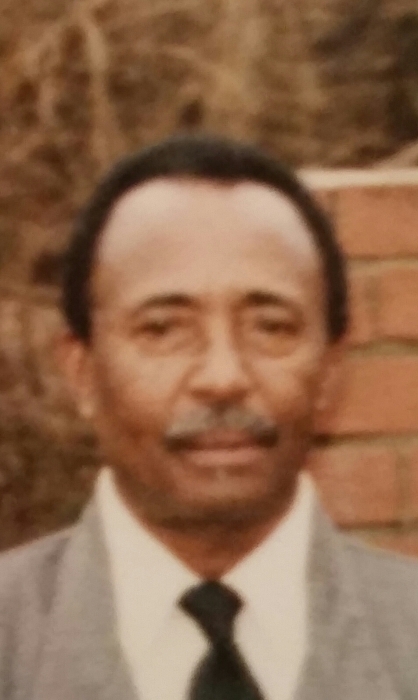 Earnest J. Brooks, age 80, of Corydon, entered into his eternal rest at 1:00 a.m. Thursday January 24, 2019 at his home. Born November 8, 1938 in Corydon, he was the son of the late Tony F. Brooks and Lucille Dixon Brooks. He was a longtime member of St. Paul Missionary Baptist Church in Corydon where he served faithfully as a member and on the Building Fund Committee. He worked in farming with Clarks Farms in Corydon and served as vice-president and caretaker of UBF Cemetery in Corydon. He was United States Army Veteran serving in the Korean War. He loved gardening, hunting, fishing, barbequing, and cooking. He also was preceded in death by his wife, Barbara Jean Brooks, in 1978; two brothers, Tony Wayne Brooks and Richard Lee Brooks; and two sisters, Mary Ruth Willett and one at birth. He leaves behind to cherish loving memories; two sons, Terry Neil (Lorraine) Dixon Sr. of Henderson and Ernest (Vickie Gower) Brooks of Corydon; one daughter, Carolyn Dixon of Corydon; two brothers, Joe Neil Brooks of Corydon and Charles W. (Edna) Brooks of Corydon; four sisters, Sarah Posey of Corydon, Rosetta Arnett of Henderson, Stella Brooks of Evansville, and Sue Brooks of Henderson; four grandchildren, Barbara Dixon, Lester Dixon Jr., Terry N. Dixon Jr., and Anna D. Dixon; five great-grandchildren, Jaylin Johnson, Ryhis Warren, Jai-Kel Dixon, Malachi Dixon, and De-Angelo Ballew; and a host of nieces, nephews, cousins, and friends. His life will be celebrated at 1:00 p.m. Thursday January 31, 2019 at St. Paul Missionary Baptist Church. The Elder James Phillip Everhart will officiate. Burial will be in UBF Cemetery in Corydon with military honors by the 101st Airborne Division of Fort Campbell and American Legion Post 40 of Henderson. Visitation and wake services will be after 11:00 a.m. until the funeral hour Thursday at the church. Elliott Mortuary in Madisonville is in charge of the arrangements. Share condolences at www.elliottmortuarycares.com.